Teens and young adults are showing sharp increases in anxiety and depression. Jean Twenge, author of iGen, has drawn a great deal of attention to these trends. Here, I describe her argument and then build on it to suggest that social cuelessness may be contributing to the problems. It’s not an exaggeration to describe iGen as being on the brink of the worst mental-health crisis in decades. For all their power to link kids day and night, social media also exacerbate the age-old teen concern about being left out. While she may or may not be correct, it’s a good hypothesis. Consider Melissa, a 16-year-old from New Jersey who is tuned in and locked on. On some days, she’s out with her friends doing what friends do—talking, laughing, sharing videos and pictures from their lives and also the internet. When not out with friends, Melissa is at home, by herself. Sort of. She’s never really by herself because her phone is always with her. Like so many others, and maybe especially other teens and young adults, she spends a lot of time monitoring what’s happening “out there,” with special attention to the lives of those in her social network—as well as the Kardashians. What does Melissa see as she stares through her phone out into the world? She sees people having fun, doing exciting things, touting accomplishments and, worst of all, she sees evidence of people being together, without her. Do people normally post their boring moments, failures, and comments on their isolation on social media? Okay, yes, some do that. There are plenty of YouTube sensations featuring people sharing their misery. Schadenfreude is even more common. Of course, there is the mundane stuff that plenty of people share on social media. It’s fascinating to know what someone got to eat for lunch. Actually, not so much—at least not to me. More often, what we see are indicators of success, connection, and prime-time “in-group” experiences. In addition to feeling left out, anyone with a smart phone or other device now can watch endless documentation of how successful or gorgeous their peers are—and feel worse about themselves by the moment. Instant dis-gratification. (I just made that word up. So, no, you cannot go look it up on your phone right now. Keep reading. Focus.) If you were a little fragile already about your self-esteem and development as a younger human, you’d be primed only to notice the stuff that makes you feel bad about yourself. I think Twenge is correct that these dynamics are part of the mix in the rise in teen anxiety and depression. She also notes other factors that doubtless play significant roles, including loss of sleep, lack of interest in going out beyond the home, and reduced face-to-face contact with friends. There may be so many other factors in play. Maybe the trends in anxiety and depression will start to move downward, soon. Who knows, but it’s not difficult to believe that we are living through one of the most extraordinary changes in how humans interact in history. I think increases in anxiety and depression for teens and young adults may be exacerbated by cuelessness. Cue, not clue. I think the rise in cuelessness is consequential. I (along with colleagues like Galena Rhoades) have argued that one of the most profound changes in dating and mating over the past 40 years is the rise of ambiguity. [iv] There used to be much more structure—more steps and stages and publicly understood markers—to indicate where people were at or headed in their romantic relationships. I think this trend toward ambiguity is motivated. One aspect of this argument is that ambiguity feels safer than clarity in an age where people are uncertain of relationships lasting. That means romantic (and sexual) relationships form in an environment with a paucity of cues about who is really interested in who, who is committed, and to what degree. Sure, there are still cues (engagement remains a big signal of commitment), but not like there used to be. In plays and movies, scripts specify cues for specific actions, scenes, transitions, and lines. Dating and mating have become relatively scriptless, and scriptlessness feeds cuelessness. My colleagues and I have written a lot about ambiguity in romantic relationships. If you want to read more: here, here, or here, or way back here. In addition to the specific cuelessness of modern dating and mating, it would not surprise me if the increasingly, generally ambiguous pathway into adulthood on many dimensions contributes to the mental health of emerging adults. However, those domains, along with dating and mating, have been going through large changes for some time. Twenge may be onto something to suggest that the recent sharp rise in anxiety and depression could be linked to the appearance of smart phones in our lives. Now, I will double down on that idea. There is a classic series of studies in the history of behaviorism (classical conditioning, specifically) that focused on inducement of experimental neurosis in animals. The physiologist Pavlov is believed to be the first to observe and widely discuss this phenomenon. He noticed how discomforted his laboratory dogs were when initially learning to discriminate between stimuli that meant food was coming versus not. Pavlov was famous for getting a neutral stimulus to produce salivation by pairing it with the original stimulus (food). You can make a name for yourself by studying spit if you can generalize your argument. Pavlov, and many others, started testing what would happen to dogs (or other animals) as they made it increasingly difficult to discriminate between stimuli. In the most famous paradigm, he would have pictures of circles indicating food was coming while pictures of various forms of ellipses would mean no food was coming—and then he made the ellipses increasingly like the circles so that it was hard for the dogs to discern the difference. The dogs would break down. They would get agitated and howl or curl up and get passive, or otherwise freak out. That’s cuelessness. It’s not simply the complete absence of cues. The dogs received cues but they had trouble getting them. Cuelessness also comes about when there is an inability to reliably discern the meaning of cues you can plainly see. Apply that thought to how intently a teen or young adult might be trying to decode stimuli about their social situation as reflected in the soft glow of their phone. Back in the heyday of research on experimental neurosis, another method for inducing it was by simply increasing the delay in time between the signal and getting the food. This had a similar negative effect on the dogs. How often have you heard about people becoming fraught over waiting for someone they are interested in to get back to them, especially by text, about what was happening next? “Is he going to get back to me about getting together?” “Why hasn’t she responded to my text message, yet? It’s been hours.” The agony of such delays in the dating world are well described in Aziz Ansari and Eric Klinenberg’s book, Modern Romance. It’s a thing, and it’s all stimulus and delayed response or non-response. Some of this comes from fears that a quick response would be too unambiguous, and could mean one had caught feelings or was desperate or was, you know, actually interested in the other. Clarity is so uncool. I think something like experimental neurosis could be contributing to the rise in anxiety and depression among teens and young adults. Everyone functions best when there are reliable cues about things that they care about the most. At work. At home. At play. In love. Can You Hear Me Now? Not Really. of many psychological disorders.” Kraus further notes that speech is a “particularly powerful channel for perceiving the emotions of others.” In fact, cues in speech convey a lot of information about emotion even when the receiver cannot understand the words. 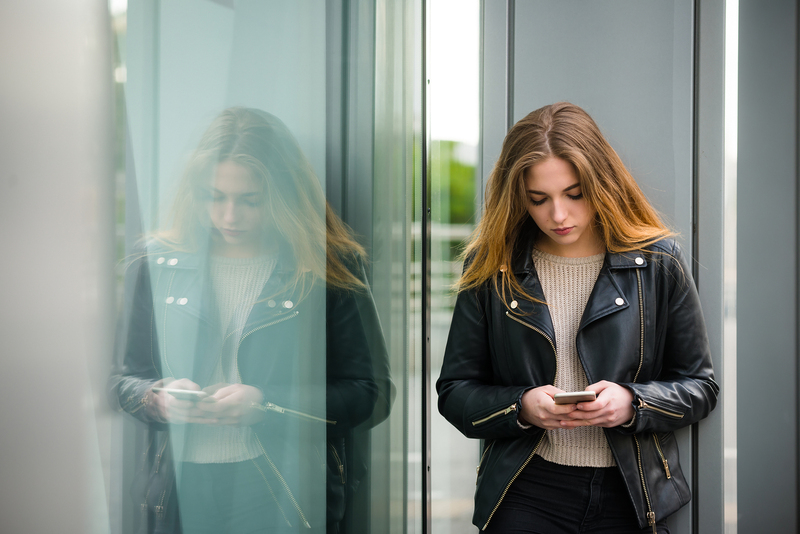 Teens and young adults are particularly tuned to their social networks, including whether or not they matter to others. We all are, but it seems reasonable to posit that this is an intense dynamic when younger. The paradox here is that, while masses of information move across electronic devices, there often is not a lot of there, there, when it matters most—such as when trying to decode if someone is interested as a partner or actually cares if you have been left out. In the specific domain of love and attraction, we live in the age of ambiguity, and devices and social media are not optimally designed to clear things up. Back to smiley faces and winking emojis. You might ask, why aren’t emojis as useful for conveying emotions as hearing someone’s voice? Obviously, one point is that it’s a simpler system. If a voice conveys more information about emotion than a real face, how much less information is contained in an emoji? But I have a better answer than that. It’s easy to send a little smiling face no matter what you are feeling. Complex systems of lie detection may yet be based on voice-tone but they are not ever going be based on emojis. When you send an emoji, you could be happy or placating and send the very same text with a smile. The emoji one sends is the emoji one intends to send. If there is a reason to mask true feelings or to mislead, it’s so easy to do that in text—in voice, not so easy. If you get on the phone with someone you know who is having a bad day or feeling something else strongly, you are vastly more likely to detect it. It’s hard to hide what’s real in the voice because voice is cueful not cueless. In fact, if you are a teenager and something is wrong, and you want your parent to help (and, if you have a parent you trust), you should call. Your parent will hear something in your voice that you can hardly hide, and I think it will change the nature of what happens next, usually for the better. While I’d like to suggest that we all people up and talk more, I know that idea is quaint. It seems entirely possible that texting has become preferred, in part, because it allows everyone to be doing two or more things at once, without having to give away the fact that we can be reading something on the web or watching TV all while sending some texts back and forth with another person. Last week, there was a few minutes where I was texting with my wife, one of my sons, and a colleague—all at the same time. A conference call would not have worked. There is a lot in favor of text, emails, and social media posts because they are asynchronous. Those on the receiving end do not have to respond in the same moment as when the message is sent. But the cost of the convenience is a thinning out of the information available, especially about emotion. And emotion is the good stuff of social connection, as Kraus notes. I should note that a clear message does not have to be the one you wanted to receive. William and Sonya are college juniors who were “dating” for a couple of months when William broke it off by text. Sonya was not pleased to get the text but at least he didn’t ghost her. Even though breaking up by text may seem immature, not to mention heartless, at least the message Sonya received was clear. Pavlov’s dog would rather know for sure that no food is coming than be in distress trying to get the signal straight. My hypothesis is that the current, substantial increases in anxiety and depression among teens and young adults may be exacerbated by decreases in the reliability of information about relationships that can be found in devices, messaging, and social media. I’ve argued before that upcoming generations may have more attachment insecurities than prior ones because family instability has likely continued to increase (even though divorce rates have trended down). If so, that could mix with the growing cuelessness of society to increase the challenges for young people. It might be a blip and the kids will be alright. It might not be. It’s just a hypothesis. I wanted to write it up because all these themes happened to be colliding in my head within the same week, and they seemed to revolve around something. More broadly, the trends could be nothing and these ideas may be off track. Also, I didn’t set out to pose solutions. I leave you cueless. It’s the age we live in, I guess. [i] For examples of news reports on this, see here and here and here. [ii] Here’s a news article from the U.K., as an example. [iii] Dwyer, R., Kushlev, K., & Dunn, E. (2017). Smartphone use undermines enjoyment of face-to-face social interactions. Journal of Experimental Social Psychology. Advance online publication. [v] The author, Michael Kraus, showed that there is more information that enhances empathy in the voice than in the face. He theorizes that people often intentionally communicate their feelings through voice. I am not as sure about that point as much as the idea that it may be hard to hide one’s feelings from being expressed in tones of the voice. Regardless of that point, Kraus suggests that there is a lot of emotional information in voice and less in the face. And, I’d argue that there is vastly less in text and email. In an age of ambiguity in relationships, that may be exactly what is preferred. Kraus, M. W. (2017). Voice-only communication enhances empathic accuracy. American Psychologist, 72(7), 644-654. [vi] A study on a convenience sample of high risk teens suggested that they were less anxious and depressed on the days that they texted more, not less. However, the same study found that, on days they texted more, they also had more attention and conduct problems. There is a lot of complexity in all this and much to be sorted out. Citation: George, M. J., Russell, M. A., Piontak, J. R., & Odgers, C. L. (2017). Concurrent and subsequent associations between daily digital technology use and high-risk adolescents’ mental health symptoms. Child Development. Advance online version.